The Atmos Nano Prime Variable Output Battery is an advanced 510 thread slim pen style battery with adjustable voltage output settings to cover the needs over a wide range of material types. 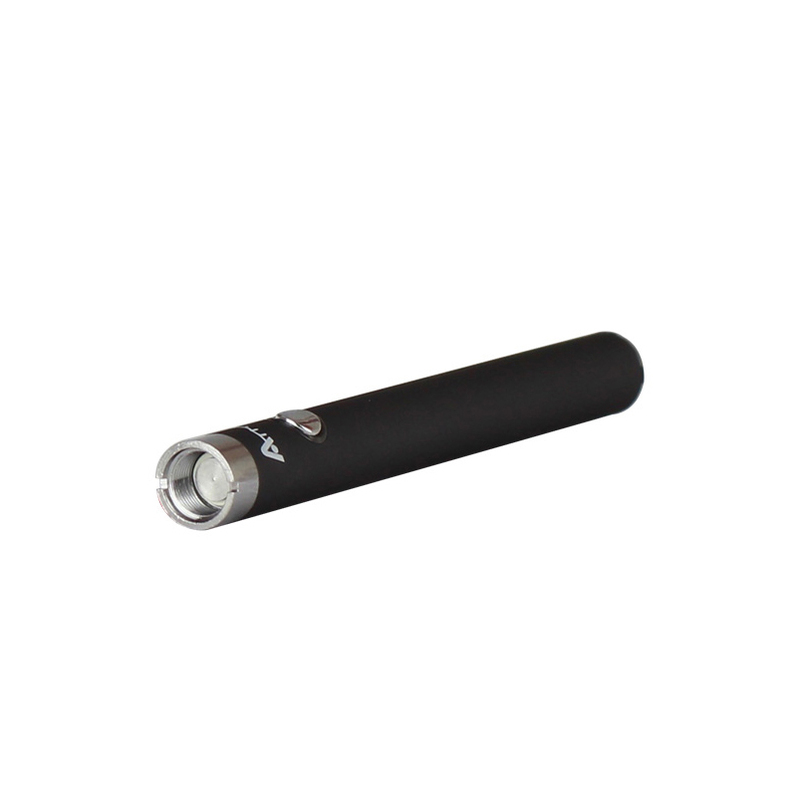 At just about 4.25 inches long by a 1/2 inch diameter, the Nano Prime Battery from AtmosRX is as slim and easy to carry as a pen or pencil, making it perfect for travel use. It has a healthy list of features and functions that are controlled using just one button. Rapidly click it 5 times in succession to power the Nano Prime on for a session or lock it for safe storage. Unlike many other similar devices the Prime grants you the option of using manual or automatic operation. For manual operation just press/hold the button for up to to heat your cartridge for up to 10 seconds at a time. 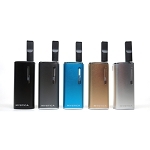 If you prefer using an automatic operation connect a bottom airflow style cartridge and inhale. The Prime will detect your pull and automatically start powering your attachment. To adjust your voltage output settings quickly press the power button 3X while the Prime is powered on. There is an LED surrounding the power button that will show your voltage settings as you cycle through them. It has three preset output settings that are designed to match a large variety of different concentrate and liquid attachments on the market (3.4V Red, 3.7V Green, 4.2V Blue). You are also equipped with a cutting-edge preheat mode that uses a low output setting to warm your attachment and clear any possible clogs. Rapidly press the power button 2X and you will see the LED cycle through a variety of colors to indicate the cycle has started. It heats for up to 15 seconds at a time and can cancel at any time with another click. 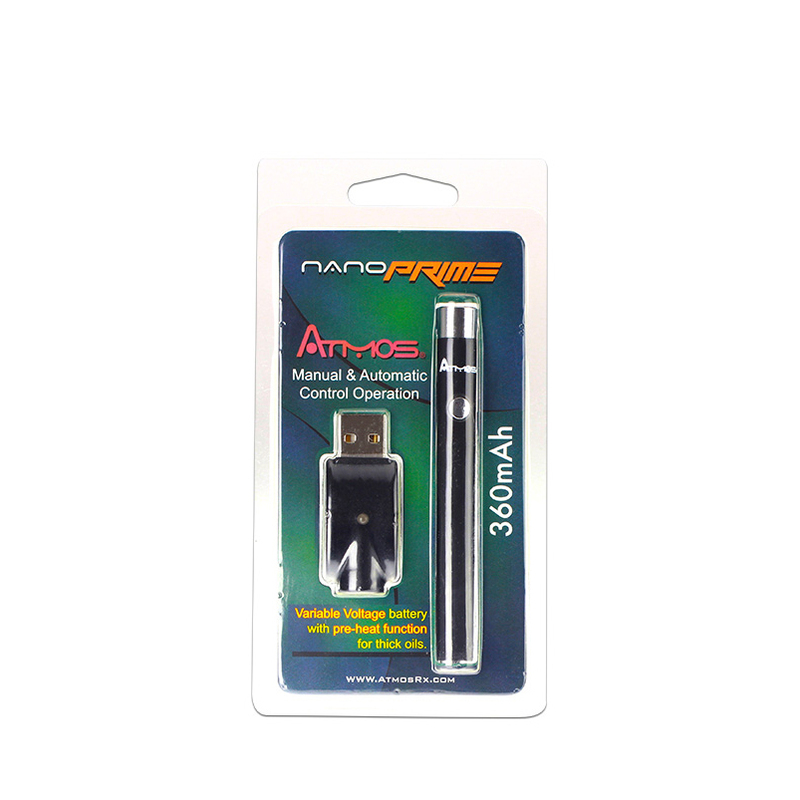 The Nano Prime Variable Voltage Battery will keep you going all day long with it's long-lasting 360mAh capacity. Fully charge in only 3-4 hours and bring your ultra portable mini cordless USB charger with you throughout your day to grab a quick recharge whenever needed. 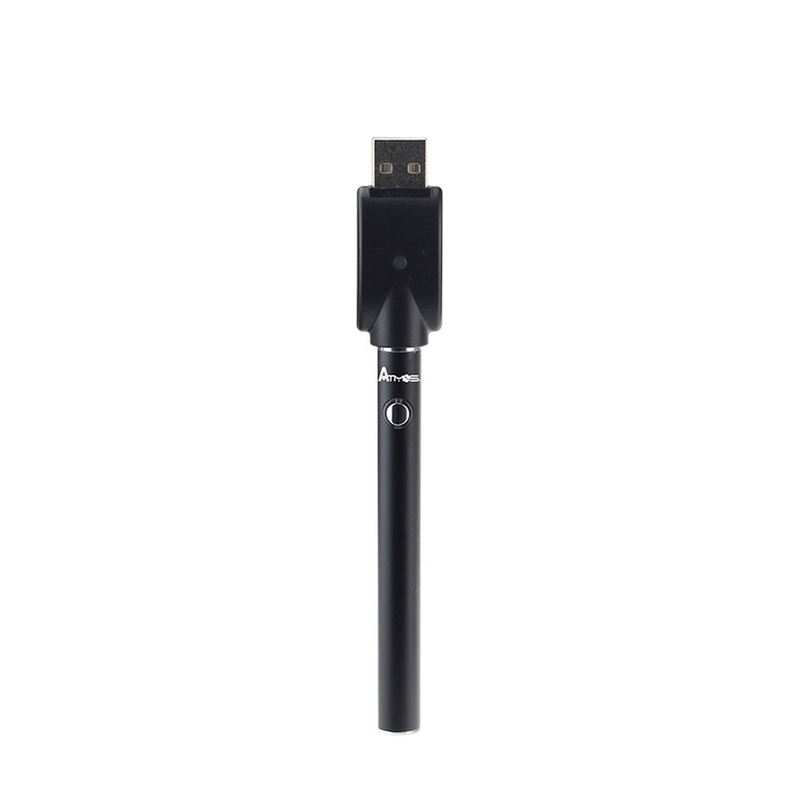 Add the eDab Travel Case on your order before checking out and instantly save! It is a protective padded case designed to hold pen style devices and accessories perfectly for travel. Add on a 5 Pack of Wickless Oil Cartridges above at a discounted price. These are premium 0.5mL refillable glass cartridges designed for thick oils that use a cutting-edge wickless ceramic core for amazing results.